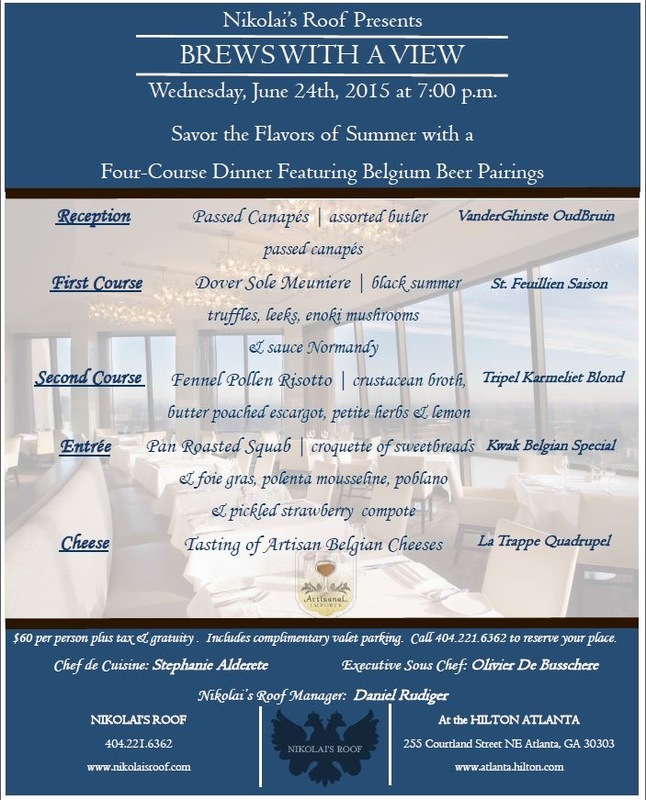 Nikolai’s Roof at Hilton Atlanta is planning another Belgian beer pairing dinner on June 24th. Chef De Cuisine Stephanie Alderete along with Executive Sous Chef Olivier De Busschere (a native of Antwerp) will be cooking a flavorful dinner. Don’t wait and reserve your place today by calling Nikolai’s Roof at (404) 221-6362.